PSI’s ProStack 4 Pocket modular bottled water rack system offers 360 degrees of bottle enclosure, which dramatically reduces leaking bottles. Our ProStack bottled water rack has unmatched durability you won’t find anywhere else. Our 3 or 5-gallon water bottle rack offers a number of advantages over metal units, including lowering maintenance expenses and a reduced risk of damage to truck bays and trailers. 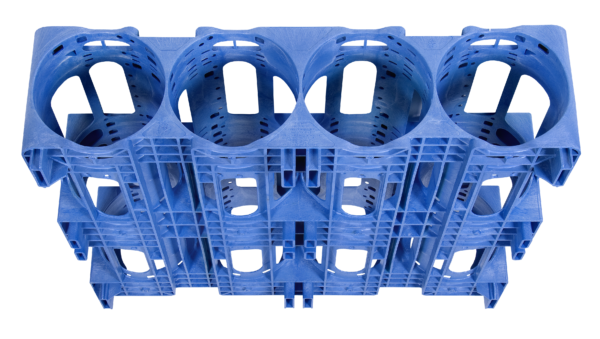 Our ProStack Modular Racks are built to work with our Double Leg Ratchet Pallet. (DLR) Our Double Leg design provides twice the protection from forklift damage than old technology single leg pallets, thus significantly reducing costs, while ensuring maximum production efficiency and safety. 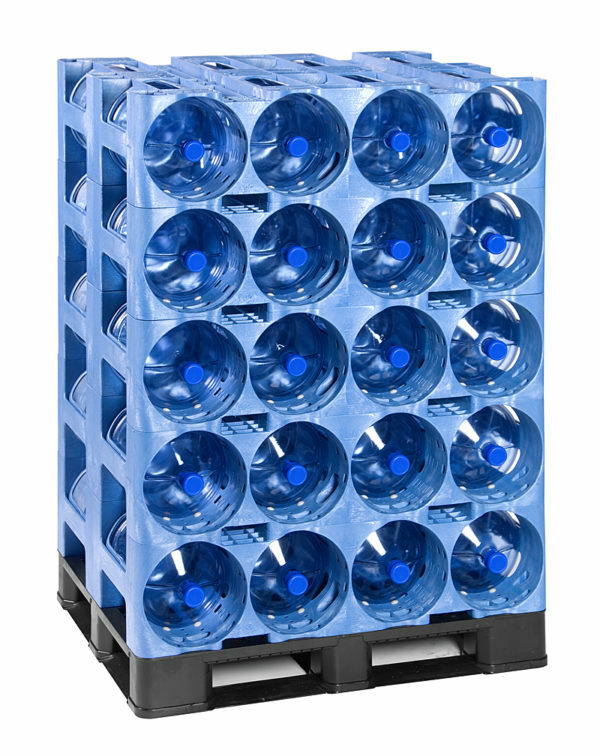 The ProStack 4 Pocket Modular rack system is a durable solution for storing and transporting 3 or 5 gallon water bottles. 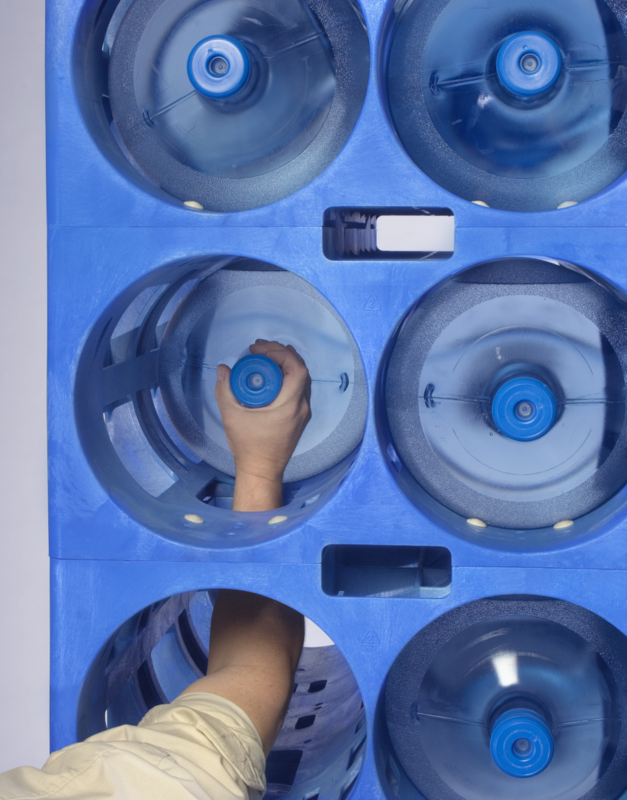 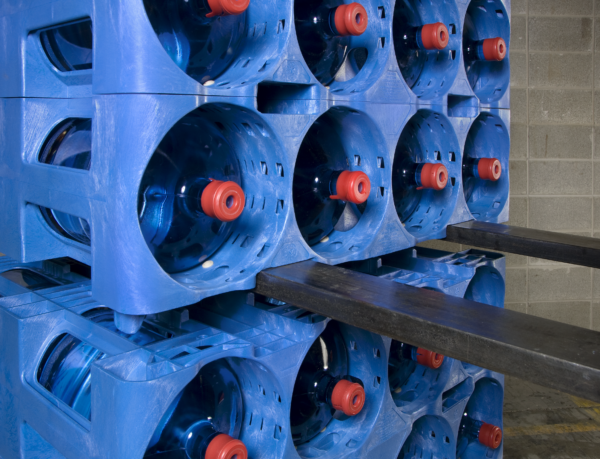 Designed from the ground up to streamline handling and reduce your overhead expenses, ProStack modular bottled water storage racks are a cost-effective choice for any operation. 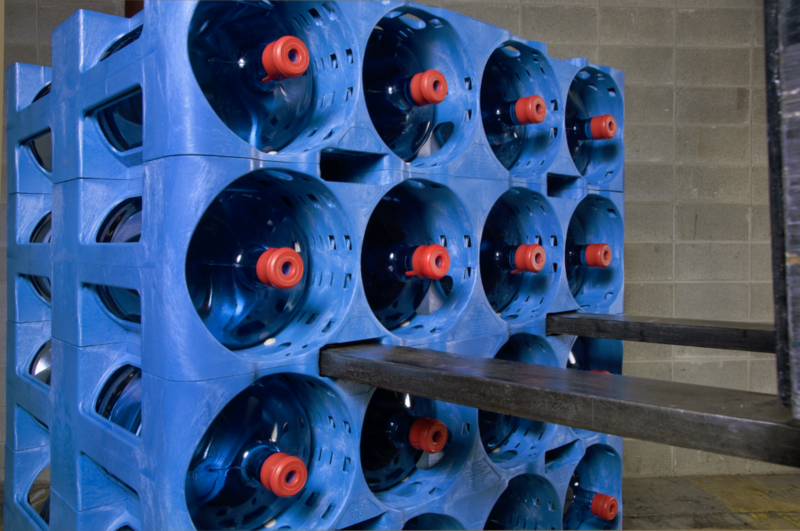 To learn more about ProStack modular plastic bottled water racks contact us via Live Chat, phone or email.